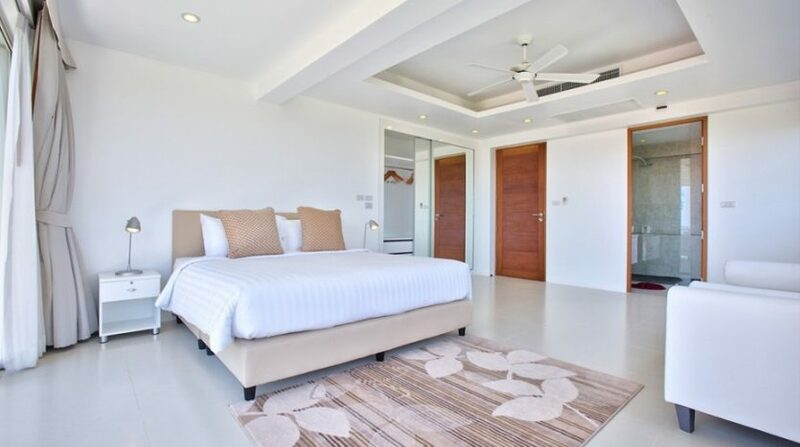 $ 960 / day min. 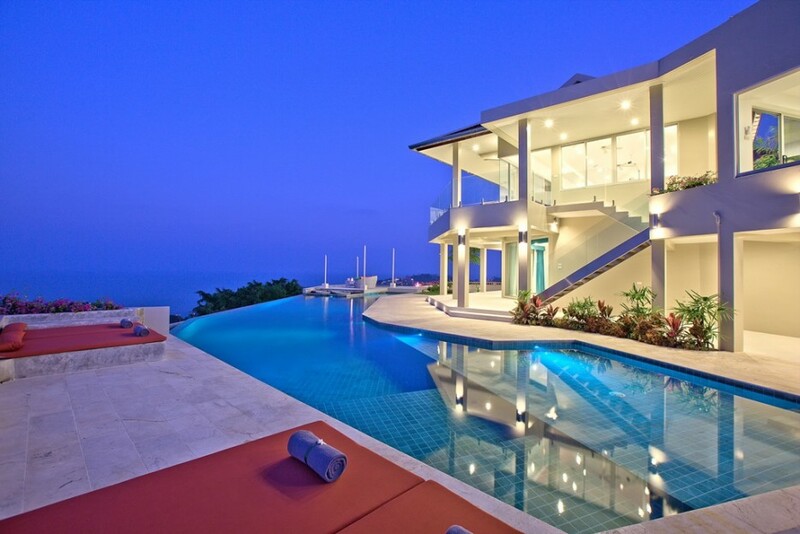 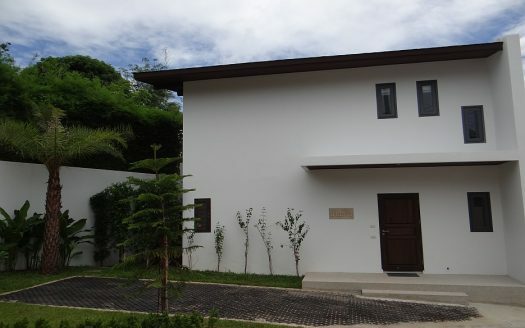 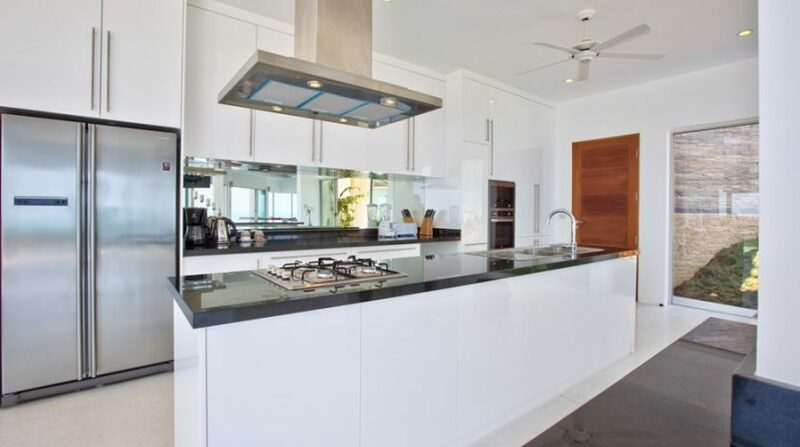 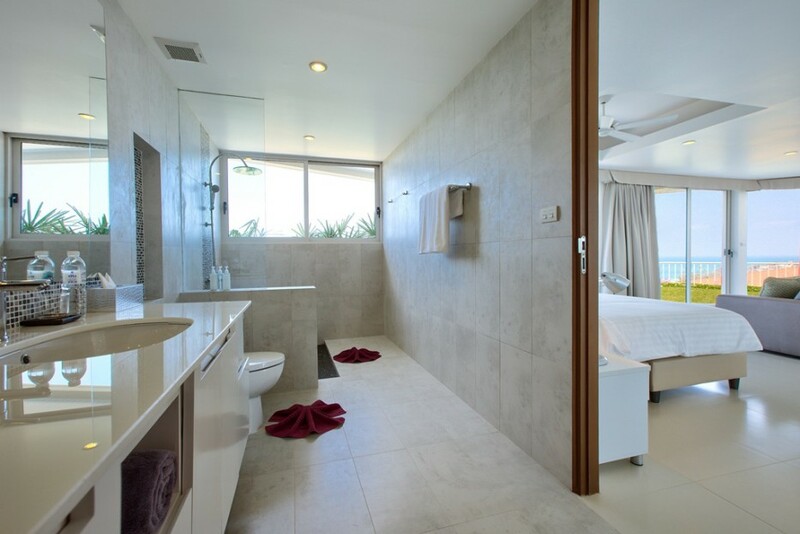 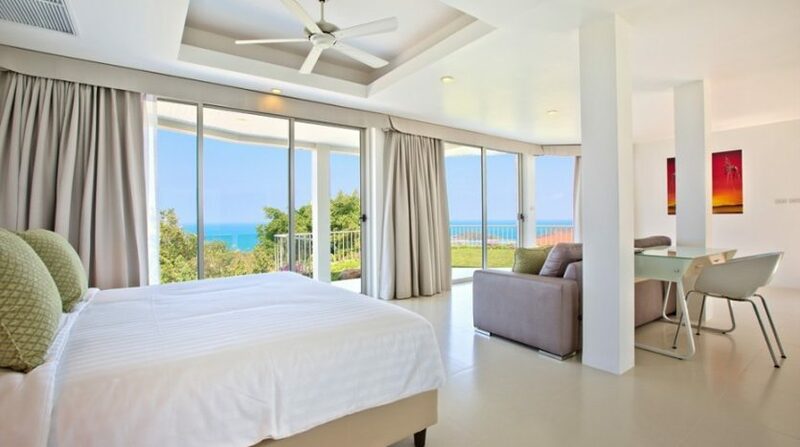 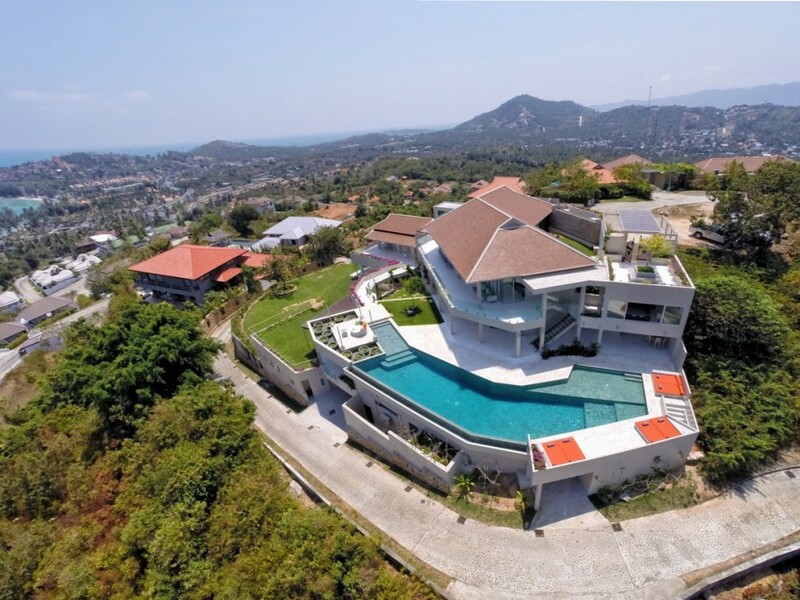 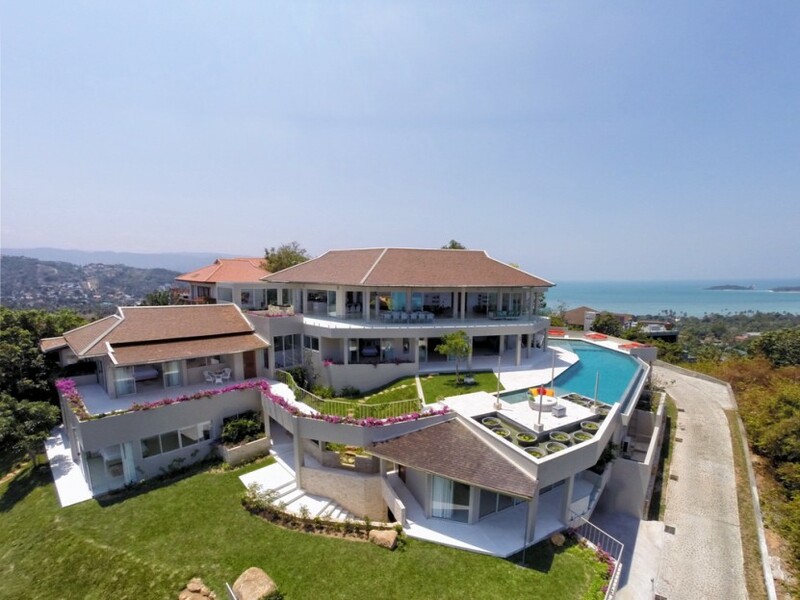 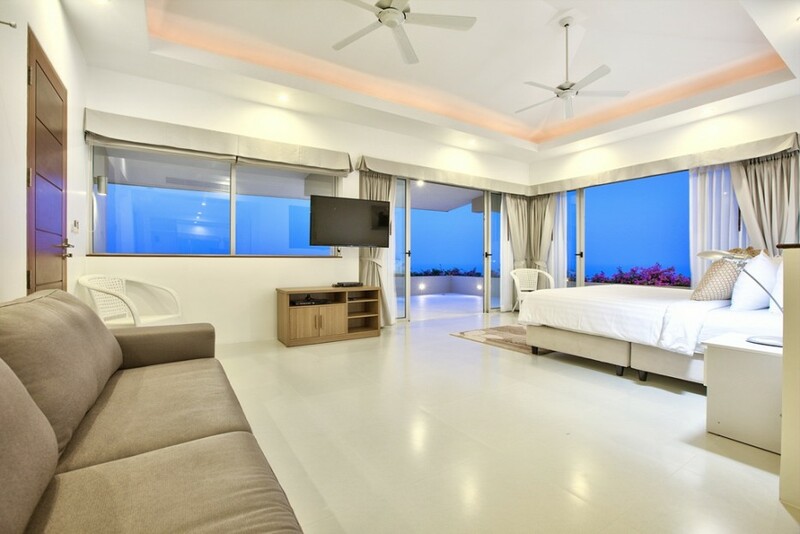 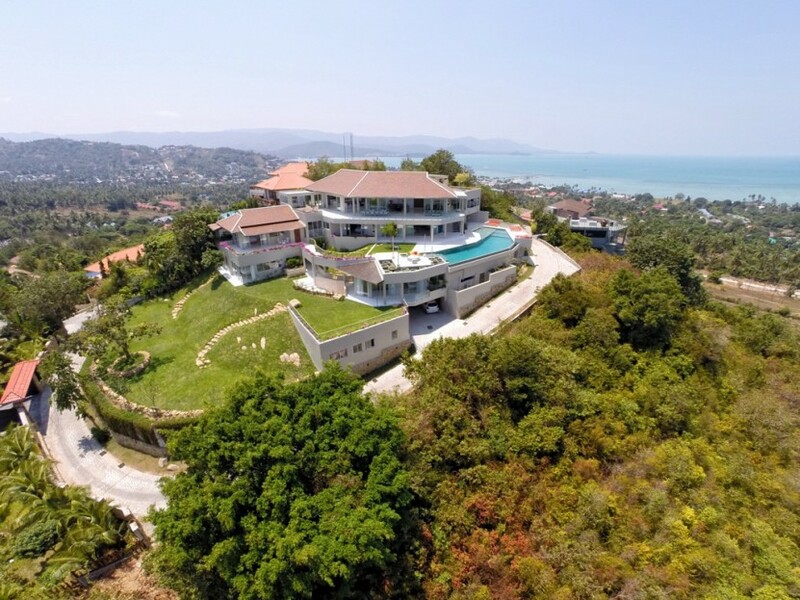 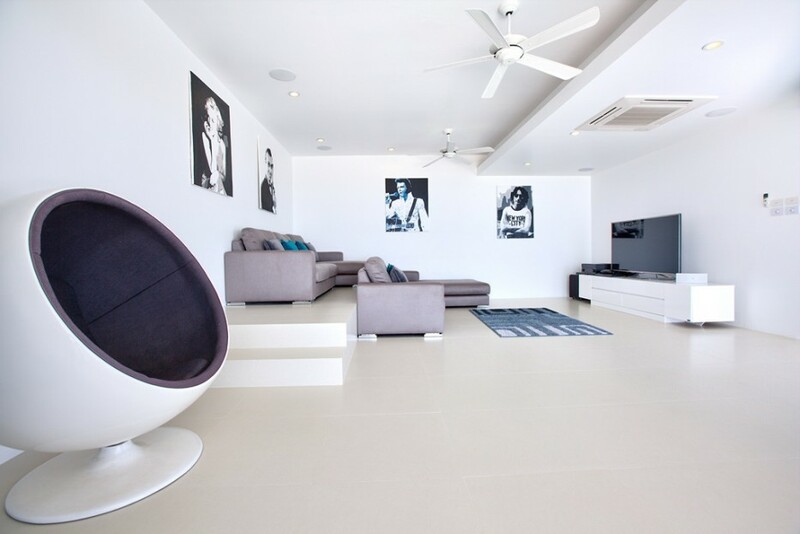 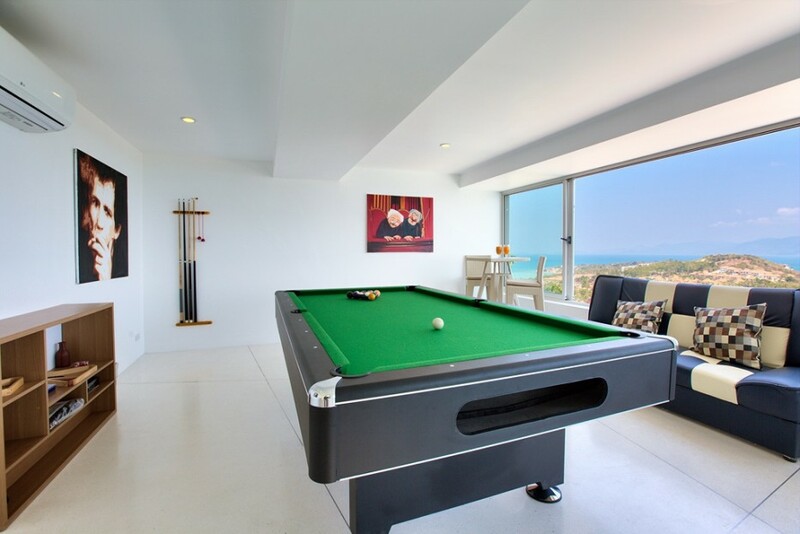 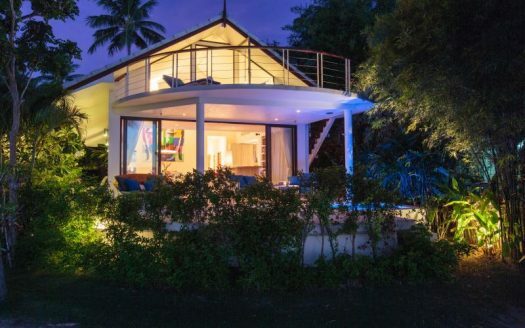 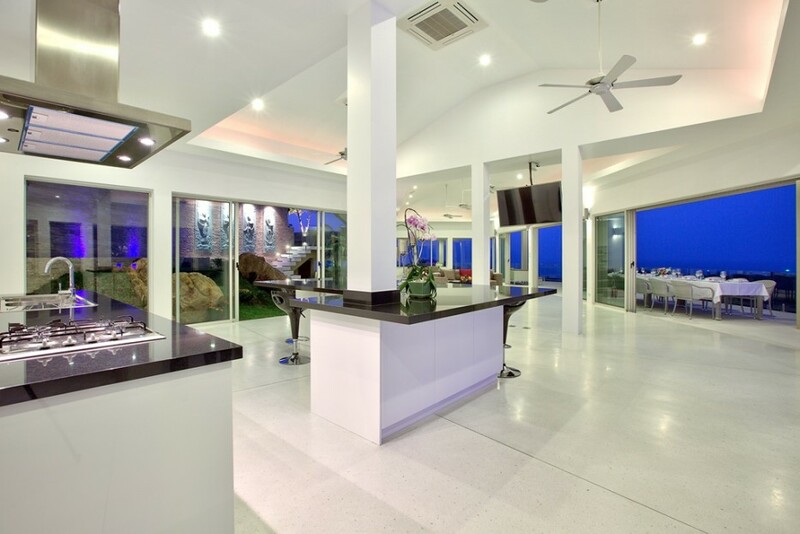 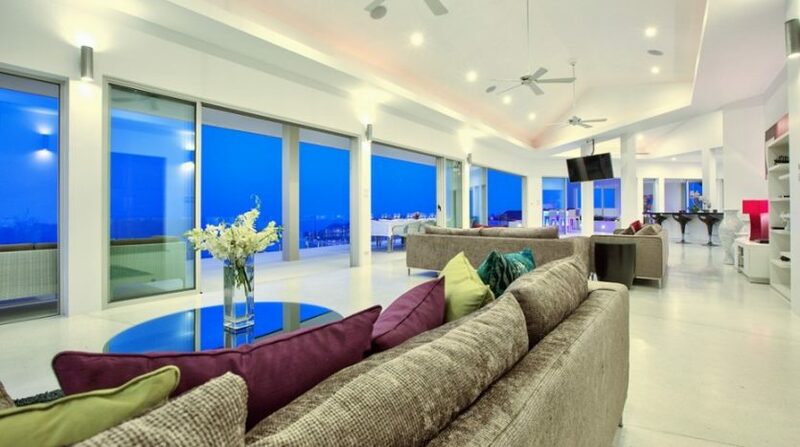 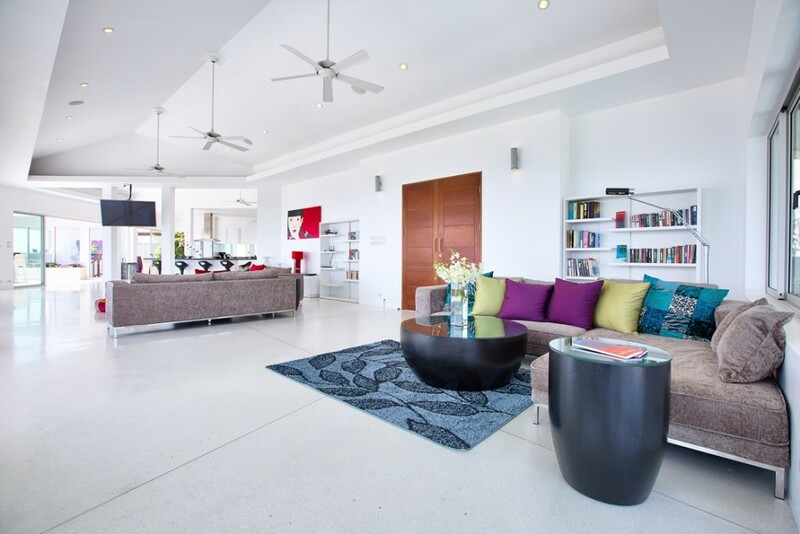 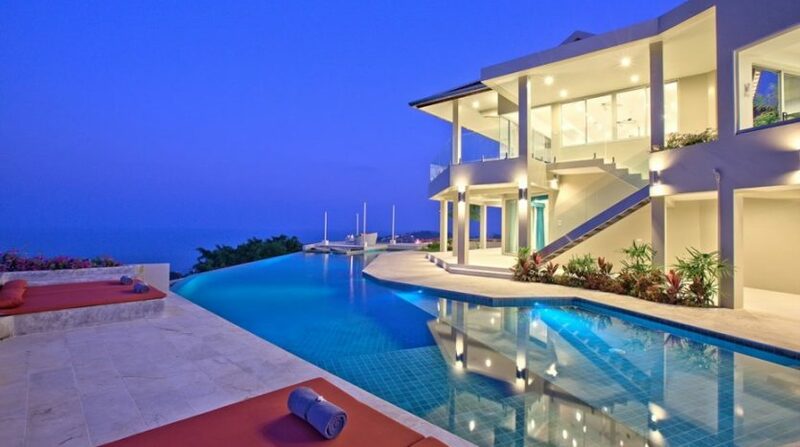 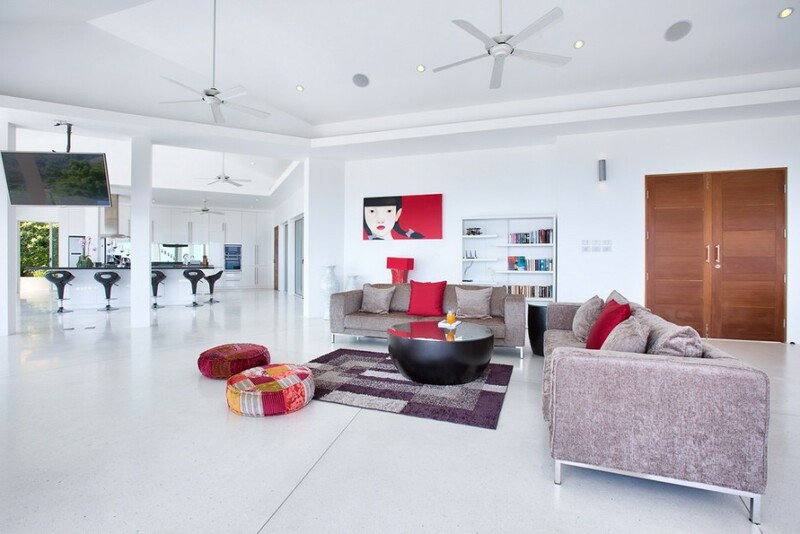 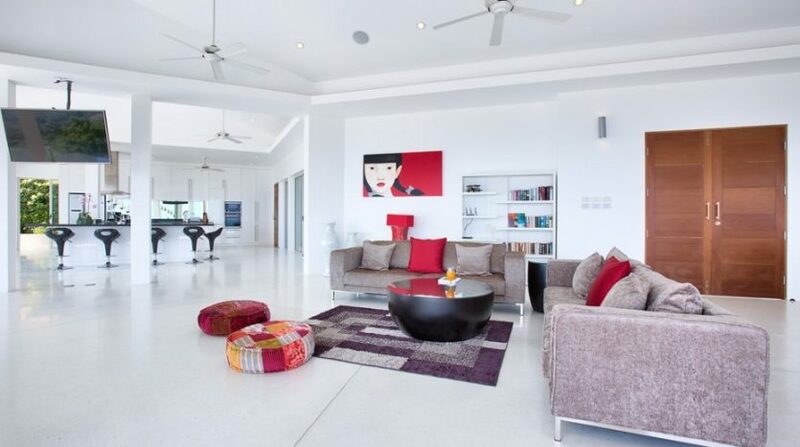 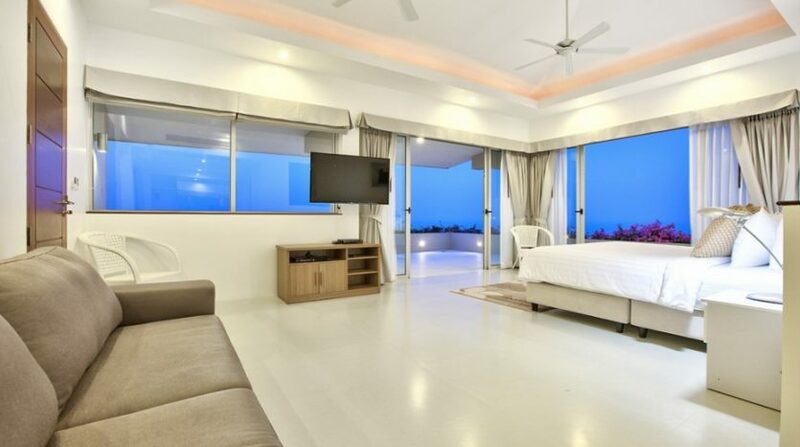 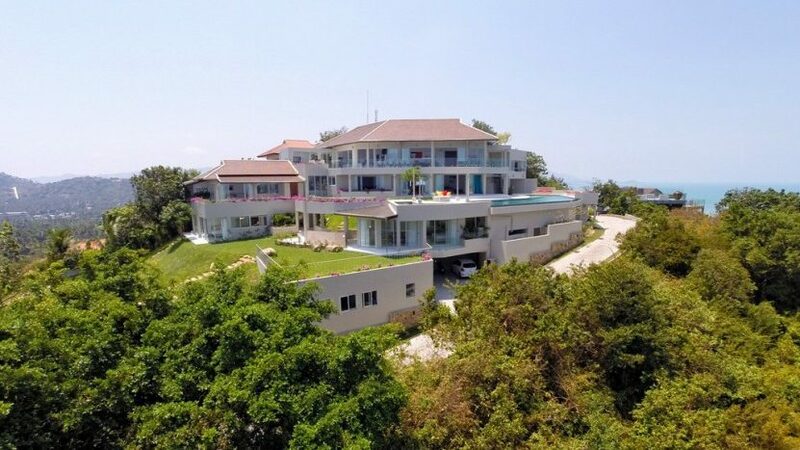 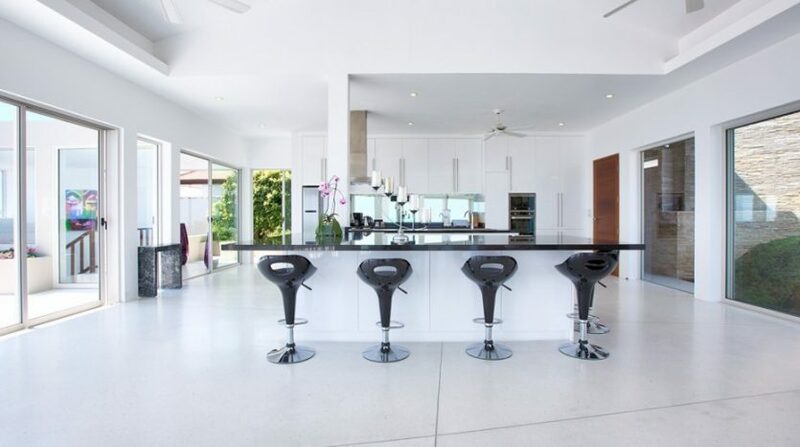 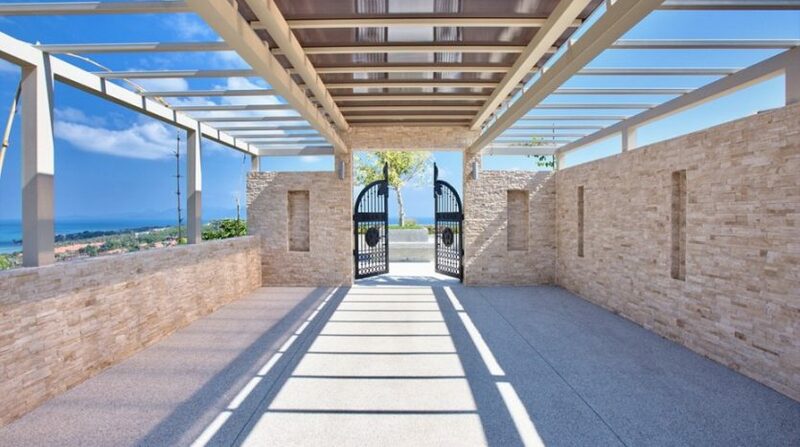 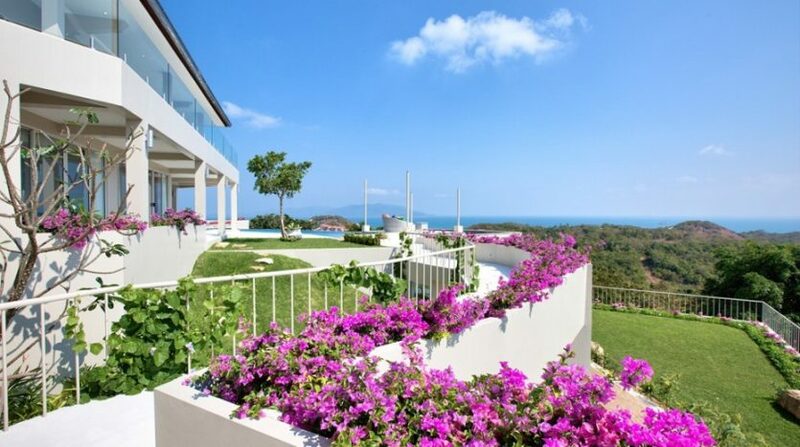 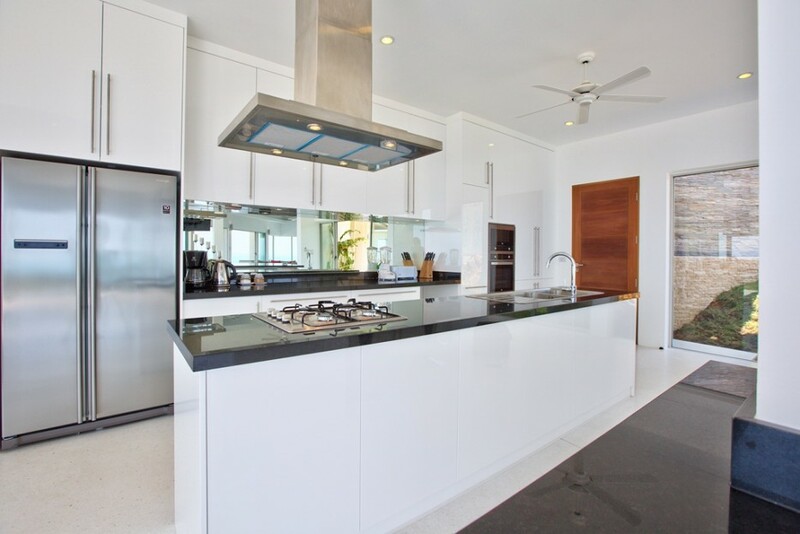 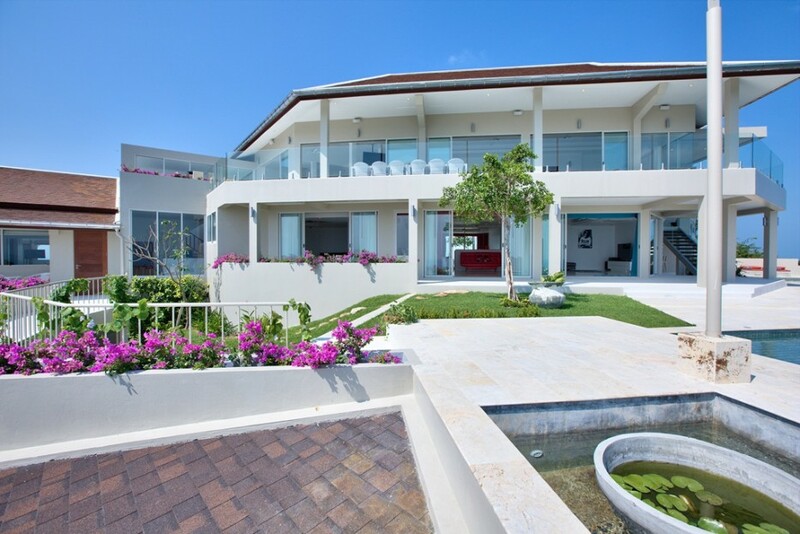 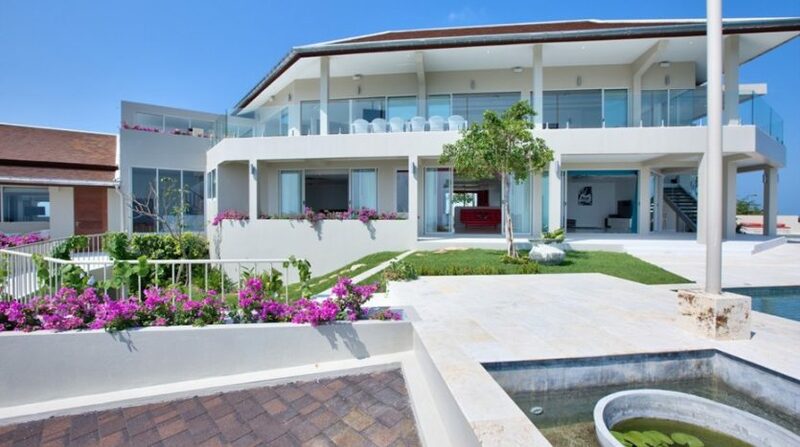 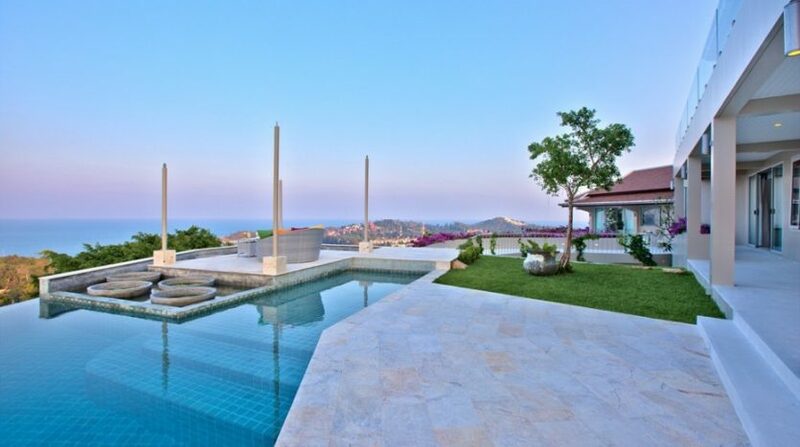 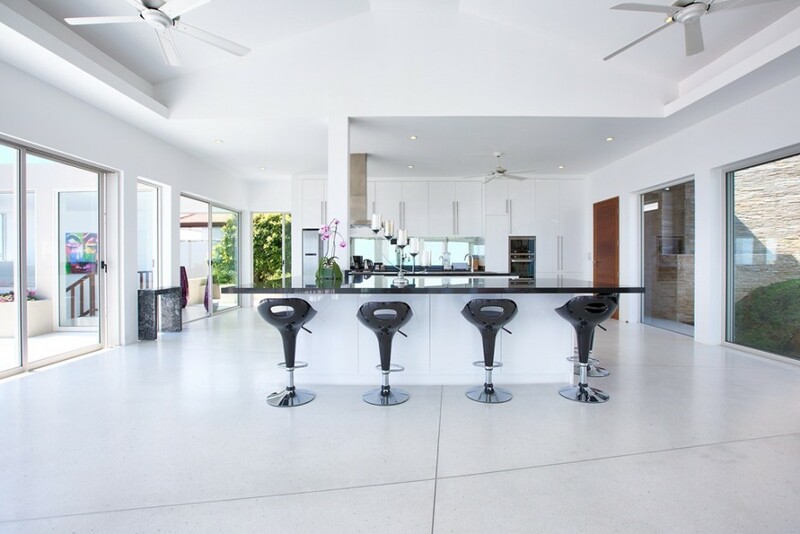 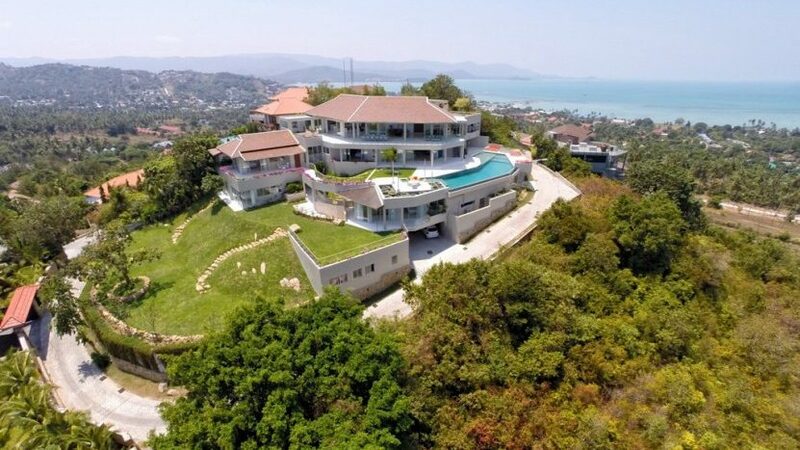 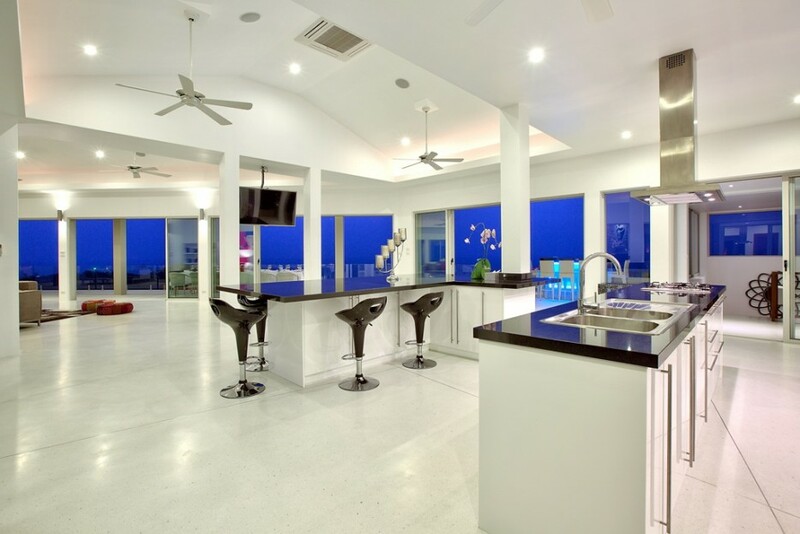 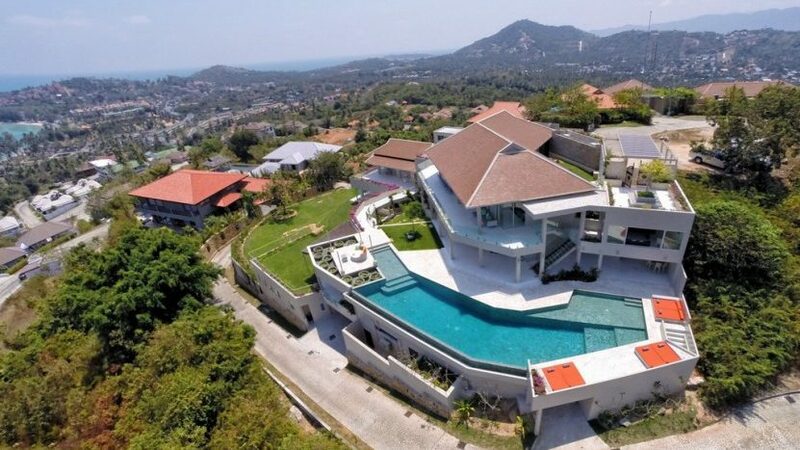 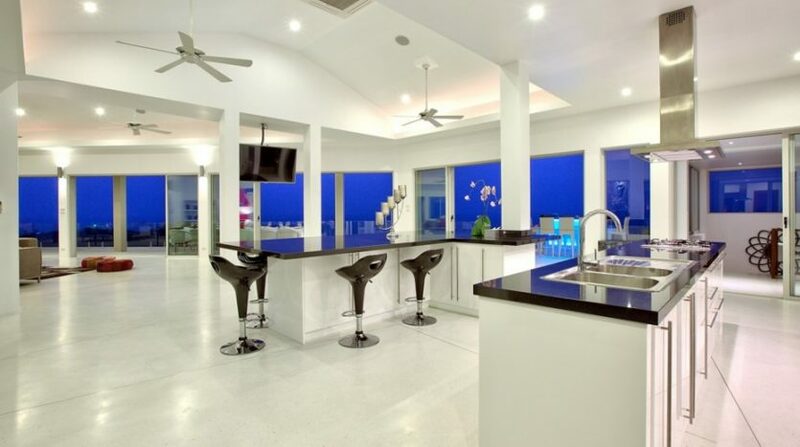 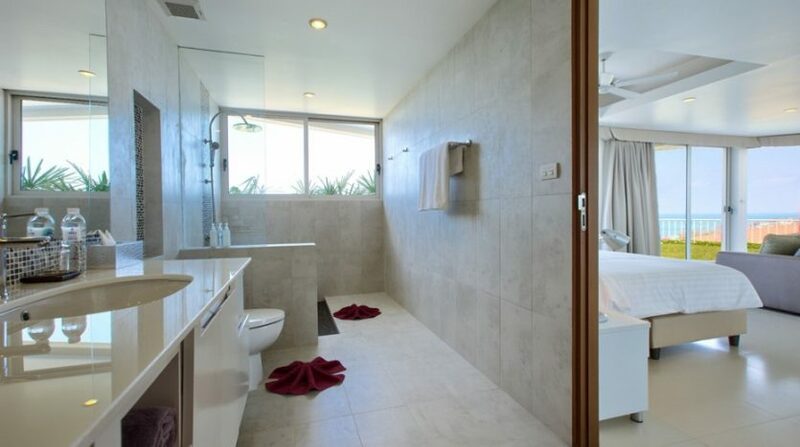 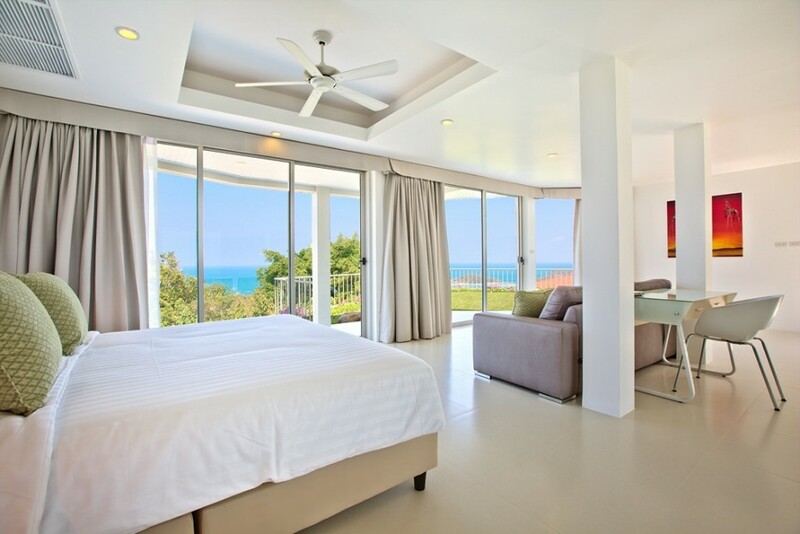 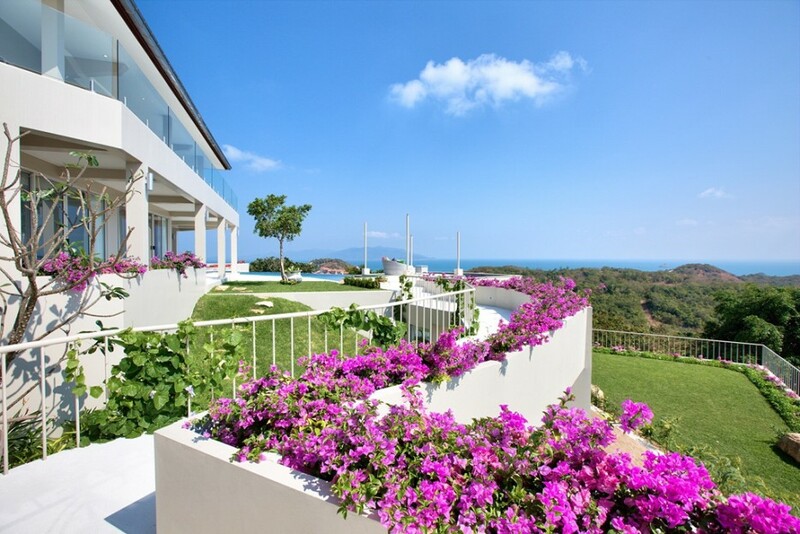 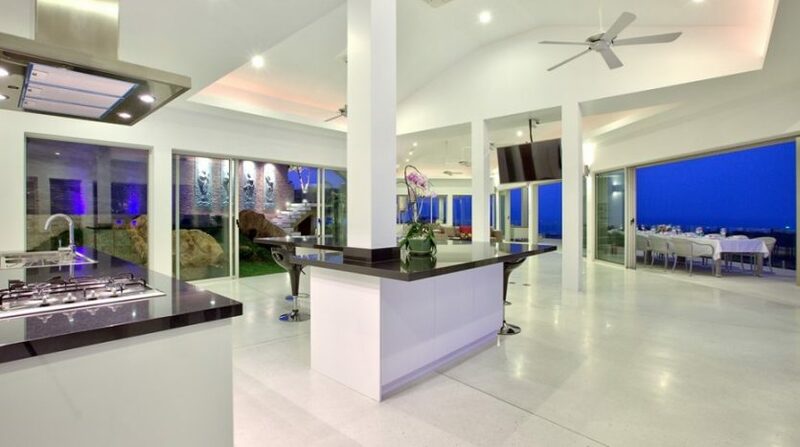 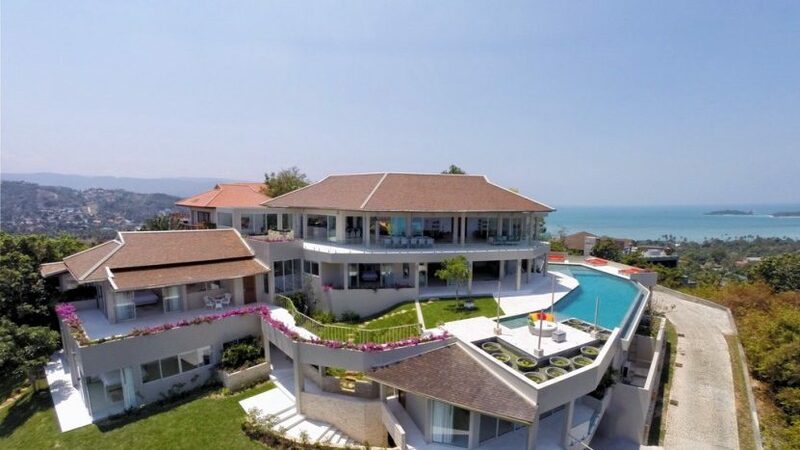 This sharp modern villa is placed in a beautiful place on the very best of Samui Summit Estate, among the highest Gated Estates on Koh Samui. 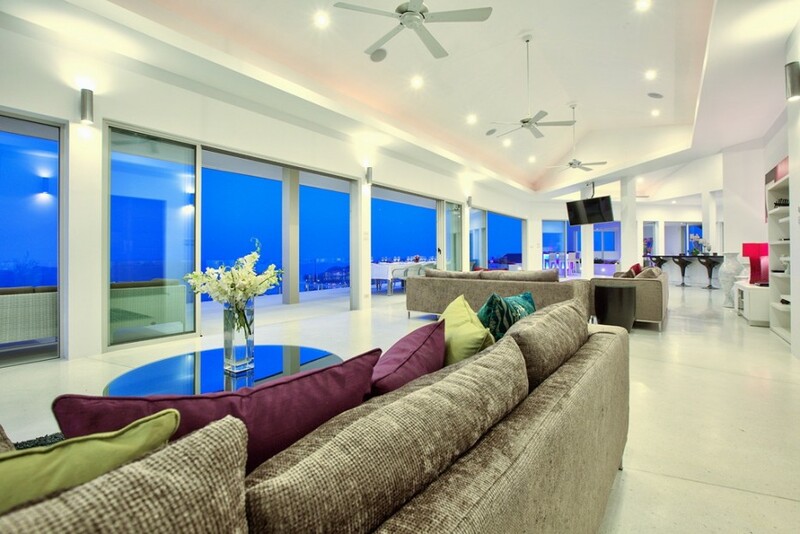 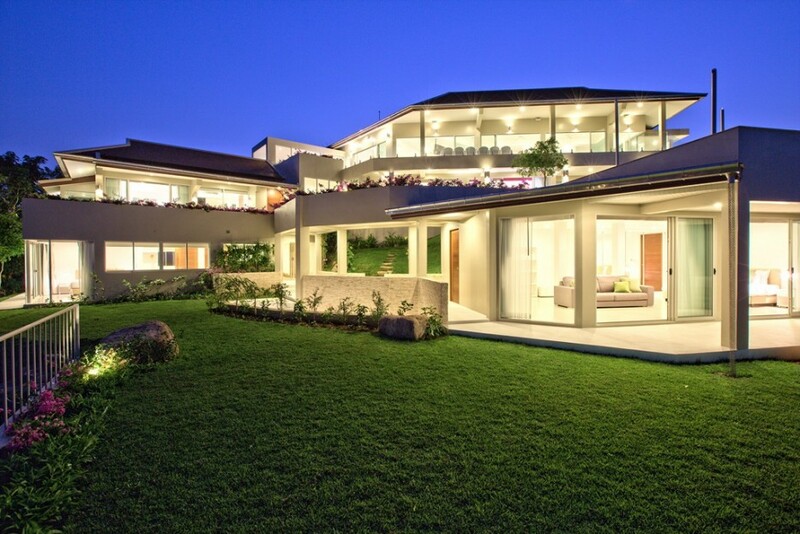 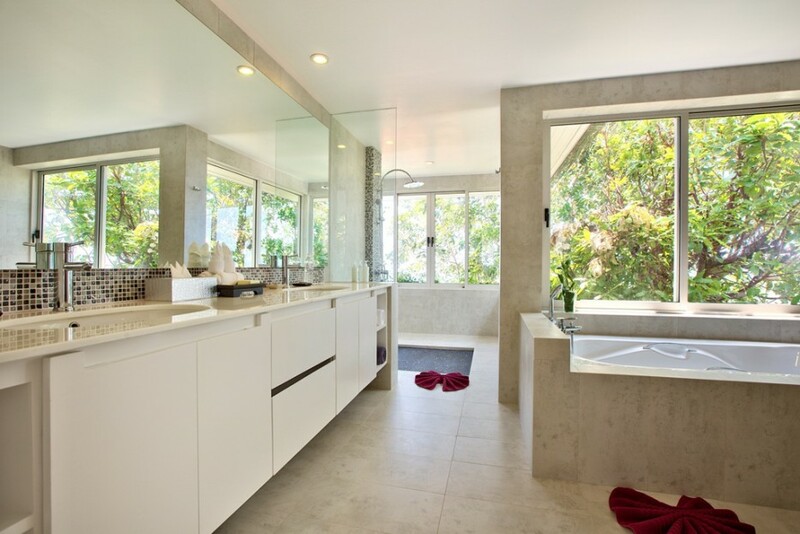 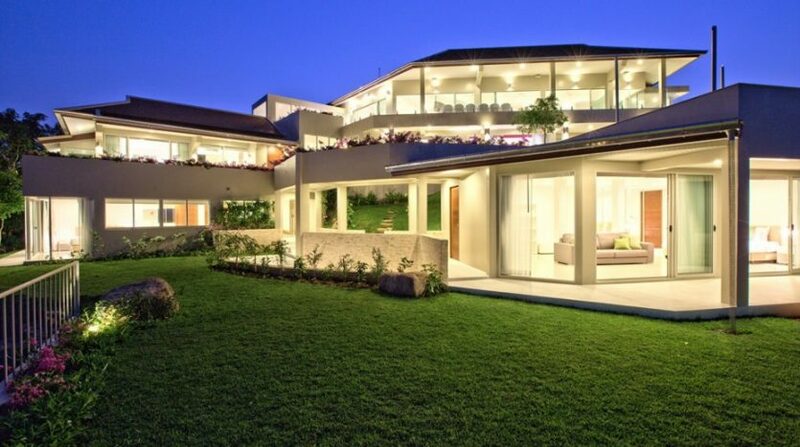 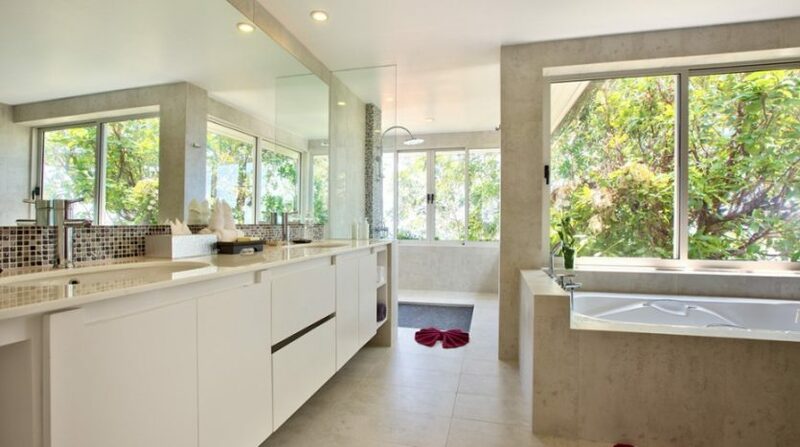 Total height windows and clear glass balustrades supply unobstructed views of the beautiful view. 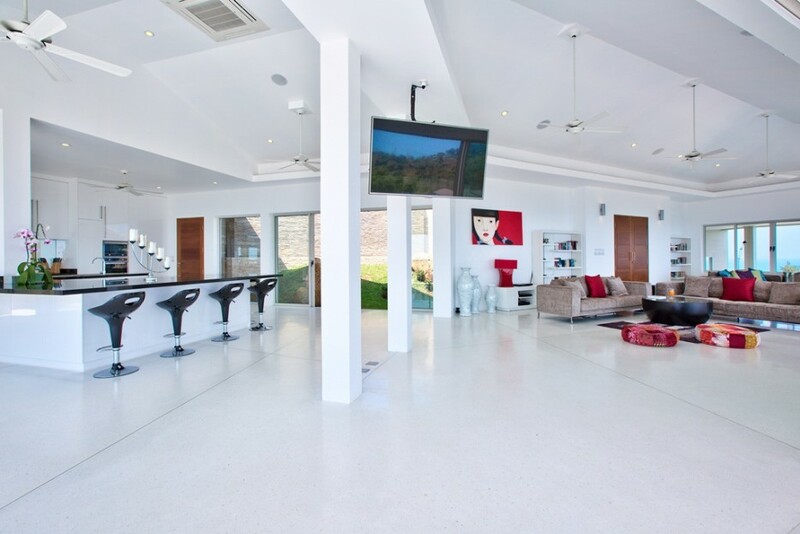 The sharp modern design of the extraordinary villa supplies a lot of light and comfy leisure choices, in the large open plan living area, to the pool and two outside bars, as well as the more personal sala and garden areas. 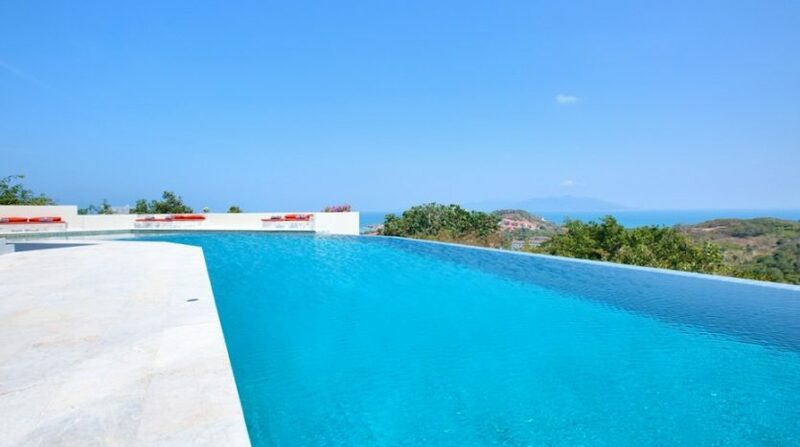 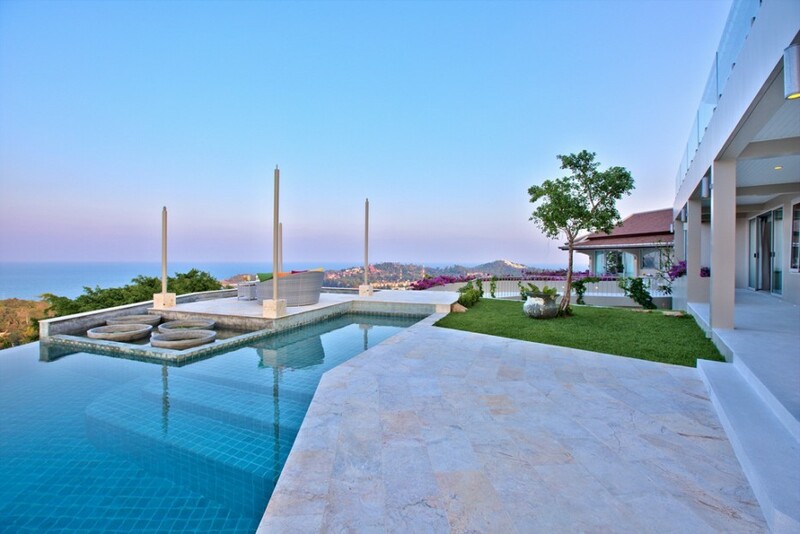 Situated on over 1600 square meters of personal walled property, the villa is surrounded by amazing internal and outside tropical gardens with patios, artwork, fruit trees as well as a big yard to the low level. 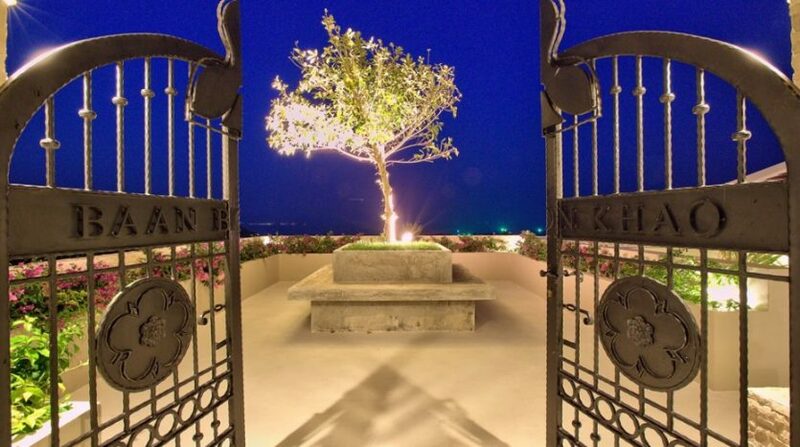 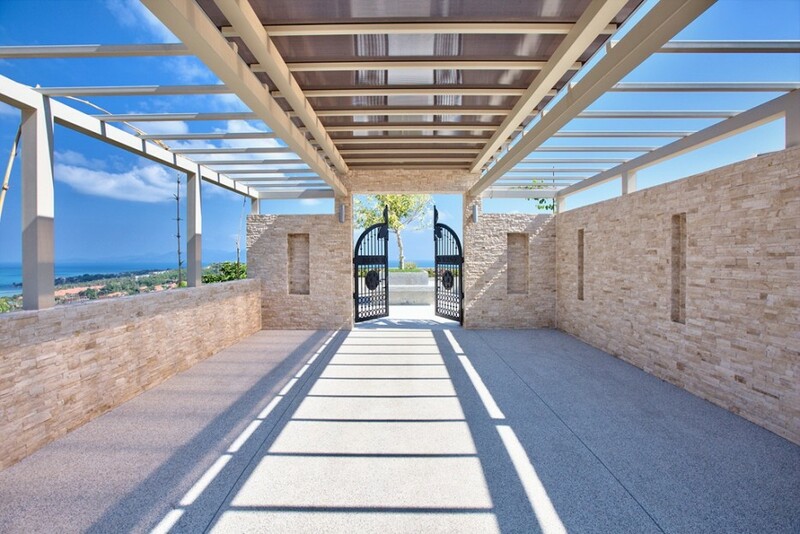 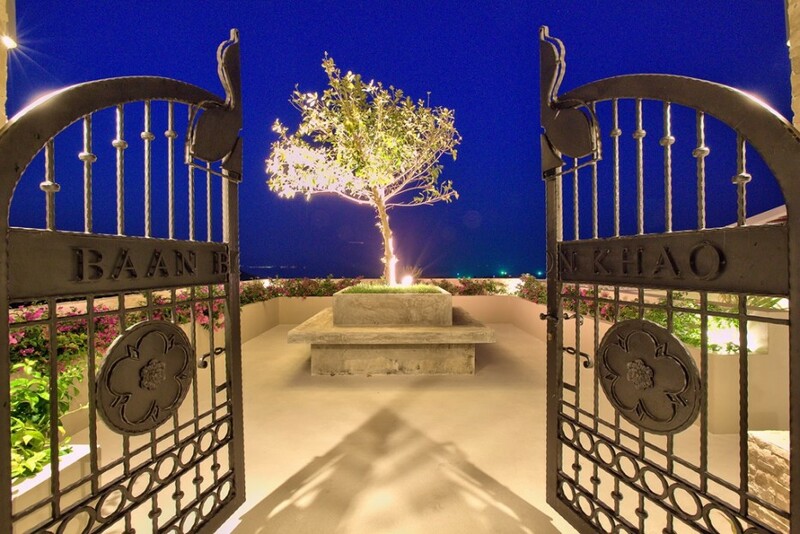 The villa is totally self-contained with four personal car-parks as well as a lower level entry in addition to the principal entry using its visiting few-gates, artwork, and dramatic viewing stage. 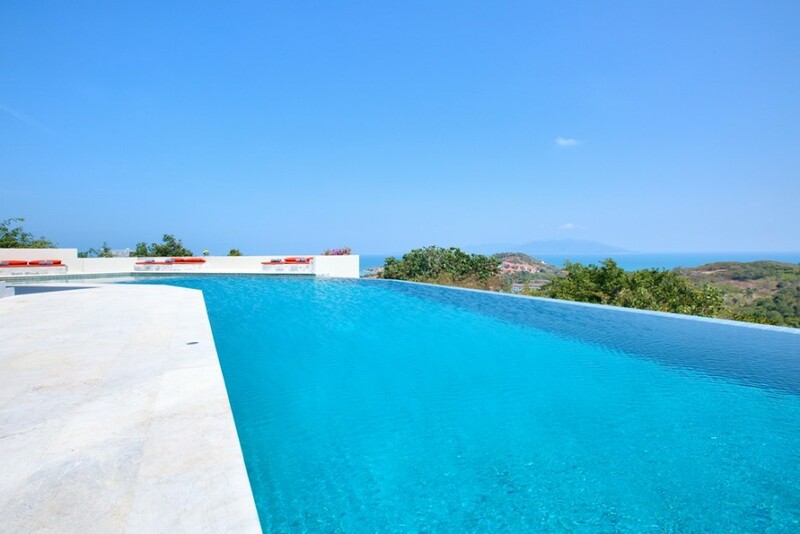 The large pool provides a 25m lap span, a 2.5m deep dive place, constructed in daybeds and umbrellas, and an adjoining sala whole with lilies and fish. 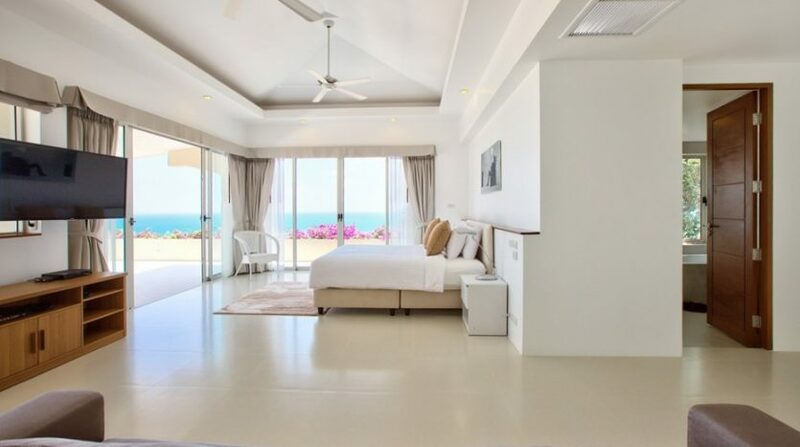 The best floor features an enormous open plan dwelling/calming space and balconies, contemporary fully-equipped western kitchen as well as breakfast bar opening to landscaped gardens and waterfall, indoor or outside dining capacity, and a romantic outside tavern, all with stunning ocean views. 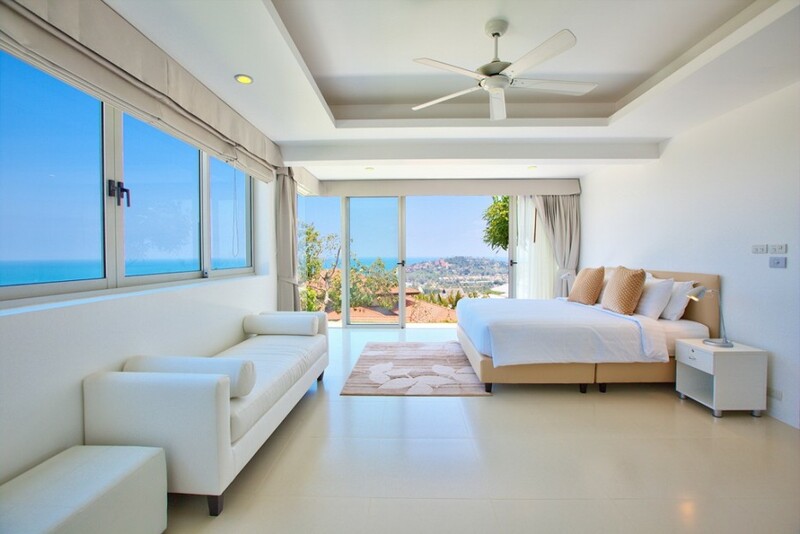 Most bedrooms have foldout couches to provide sleeping alternatives for kids. 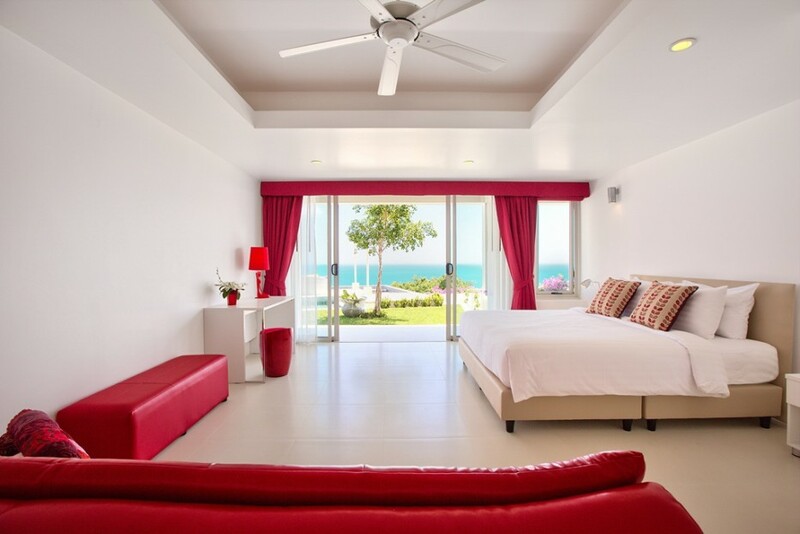 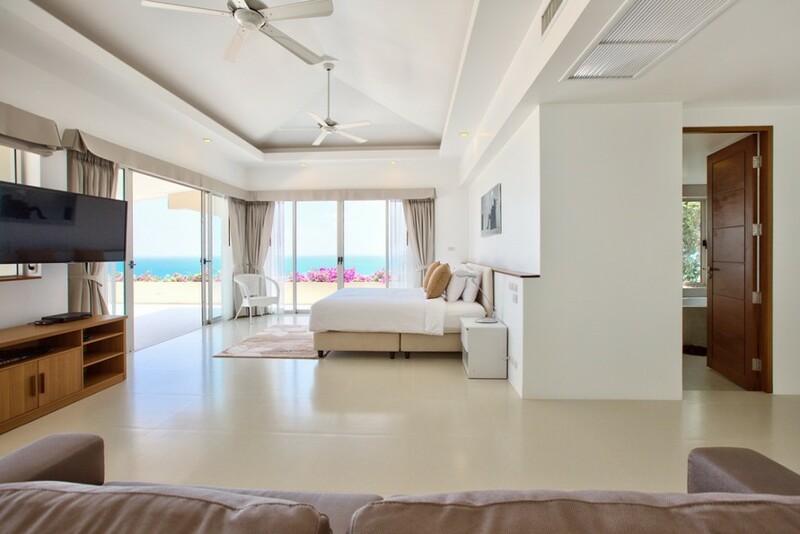 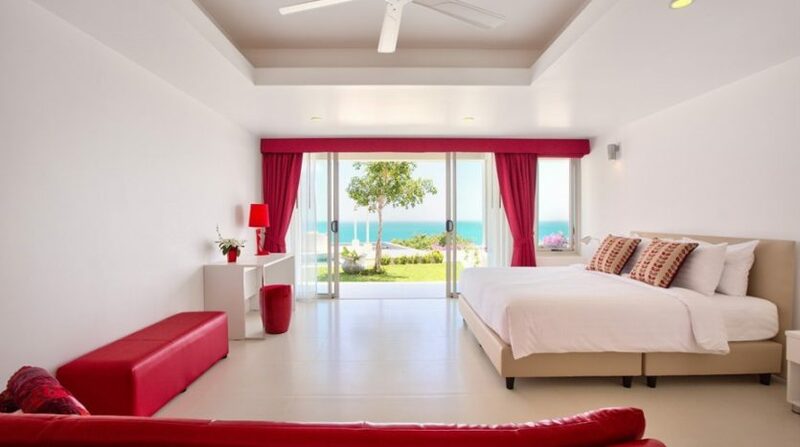 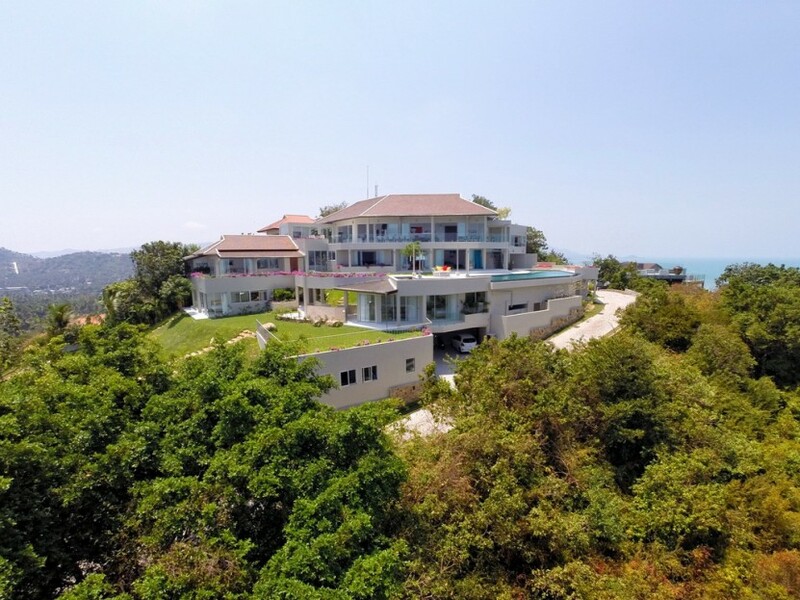 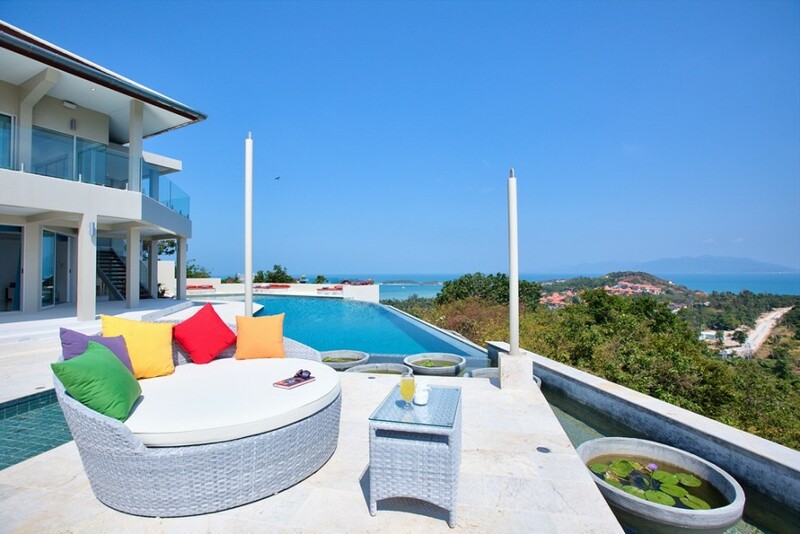 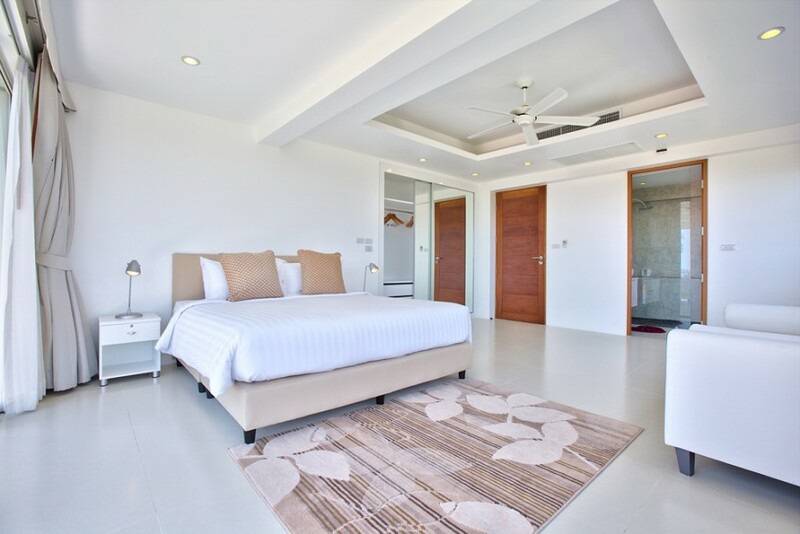 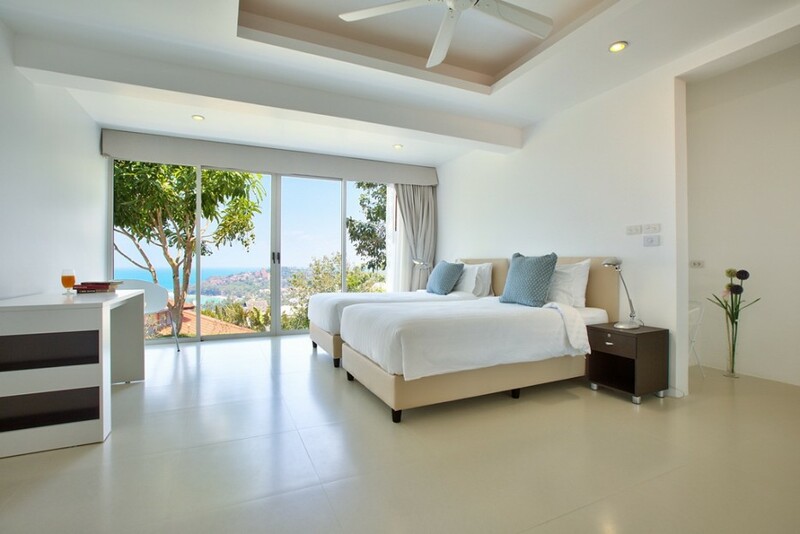 The villa is located in the northeast corner of the isle in the sought after place of Choeng Mon, the house of a number of Samui’s 5 star resorts. 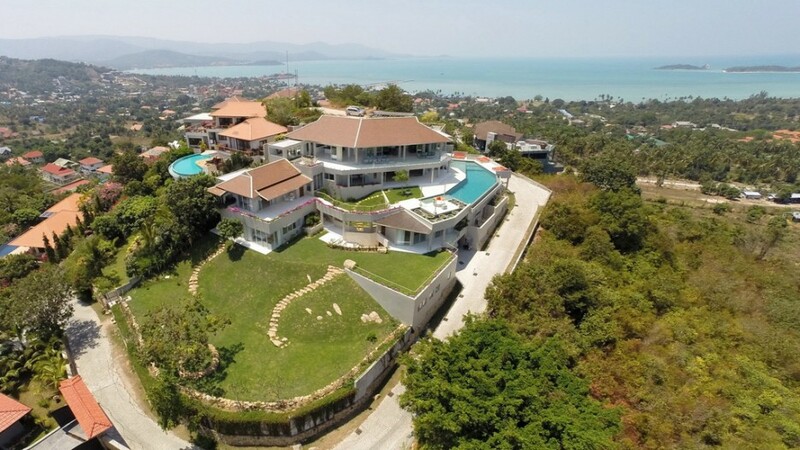 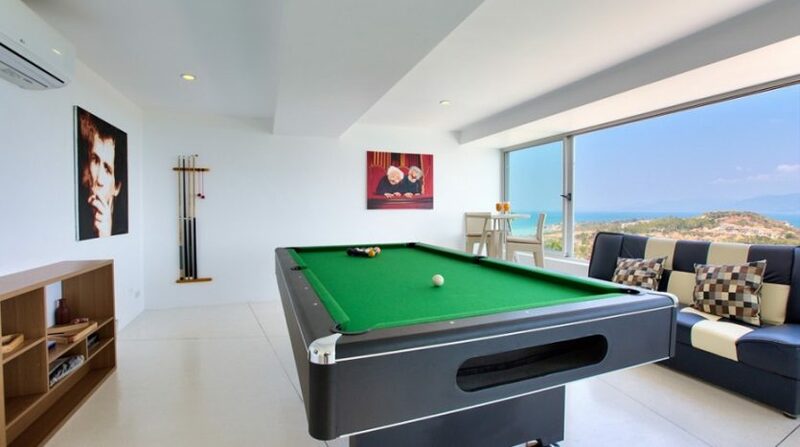 Choeng Mon is preferably located, far from the sound, but still near the airport, and equidistant (1 2 minutes by car) to the nightlife and shops of Chaweng and the more advanced upmarket part of Bo Phut Fishermans Village with its high-end eateries, retail stores and pubs. 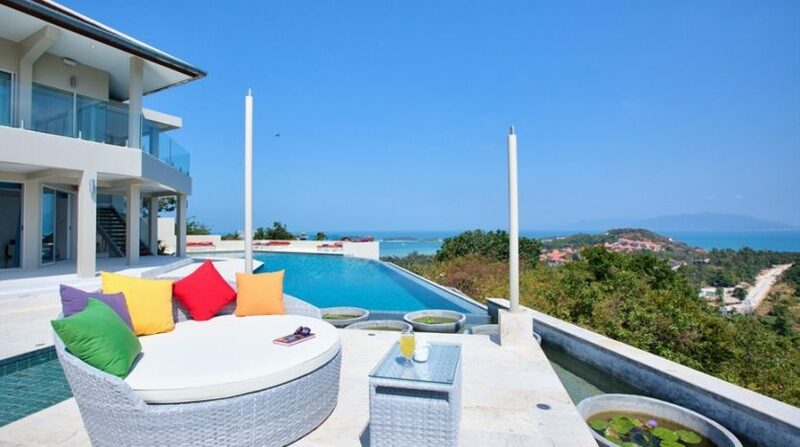 Choeng Mon itself (which is at walking distance) is among the finest beaches on the island, comparatively quiet and having a host of helpful eateries and pubs on its casuarina lined shore. 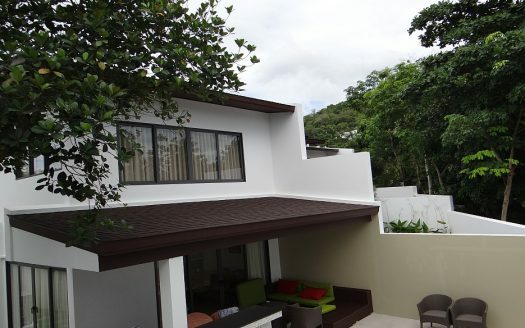 Baan Bon comes with 24-hour protection as well as a complete on-site management support to deal with all requirements. 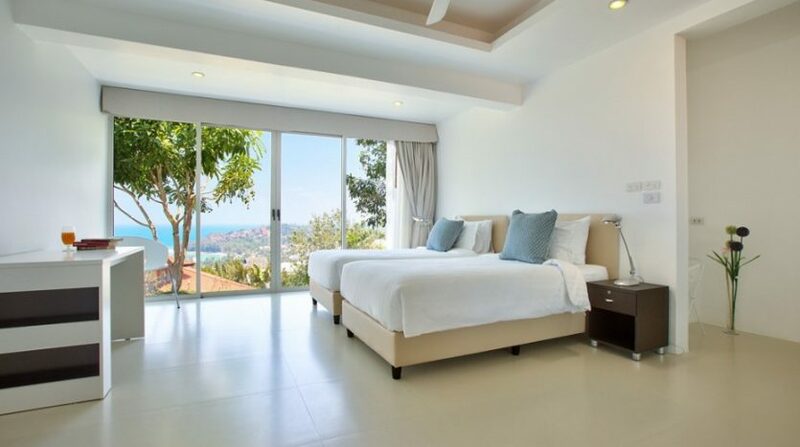 Price: $ 960 / day min.